This centuries old white washed cottage is steeped in olde-world charm with wooden beams, log burning stove, thick walls and yet has been sympathetically restored in recent years to provide a real home from home self catering holiday cottage. The cottage is situated on a private smallholding in the rural hamlet of LLangwnadl and within walking distance of the long sandy beach at Porth Penllech and Porth Colmon. 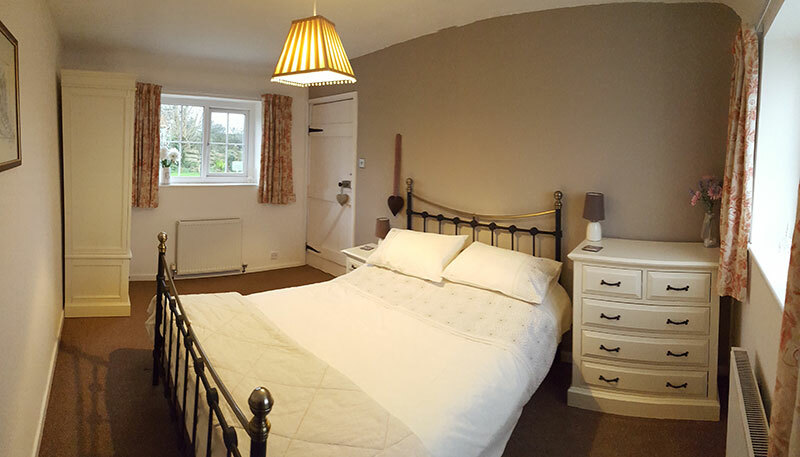 Offering family accommodation in the double and twin bedded rooms, the cottage also offers lounge with wood burning stove, fitted kitchen, sunny dining room/utility area(with washing machine), modern shower-room all benefitting from double glazing and gas central heating. The sunny lawned gardens offer private parking, and a peaceful and private place in which to relax after a day spent exploring the wonderful coastline of Pen Llyn and the mountains of Snowdonia which are closeby. The Llyn Coastal path is easily accessed from here – it is literally on the doorstep - and the quiet lanes offer plenty of opportunity to enjoy the great outdoors. The National Trust owned beach at Porthor (Whistling Sands) is within a 5 minute drive and Aberdaron, Abersoch and Morfa Nefyn are all within a short drive – approximately all 8 miles away. Non-smokers only. Well behaved pets welcome. Stabling and grazing available on site by prior arrangement.